"Finally, Southern Baptists of the twenty-first century are shown the way back home. David Dockery, in the convincing and studied manner so typical of all his writings, calls for a fresh return to our theological, educational, and missiological roots . . . (providing) a compass by which to steer us out of our doldrums and onto the high seas of effectiveness." —Tom Eliff, senior vice president, International Mission Board, and former president, Southern Baptist Convention. "A comprehensive and challenging mandate . . . It calls our denomination to nothing less than a Great Commission resurgence rooted in the great biblical and theological truths that we hold in common. It is my prayer that this book will not only be read, but that its vision will be embraced." "Southern Baptists stand at a crossroads today . . . David Dockery, one of our finest scholar-statesmen, points the way toward a more constructive future for a denomination called to reclaim its founding purpose of ‘eliciting, combining, and directing’ its energies in sharing the message of Jesus Christ with all the world." "These are turbulent days in the Southern Baptist Convention . . . Our churches are struggling to reach people in a postmodern culture. Dockery reminds us that we cannot yield the gains the Convention has made in its commitment to truth and doctrinal fidelity. Yet, he offers a plan for renewal and consensus within our confessional heritage." "A skillful analysis of the forces and factors which have made us who we are; a masterful discussion of theological issues that should pull us together and point us toward unity." 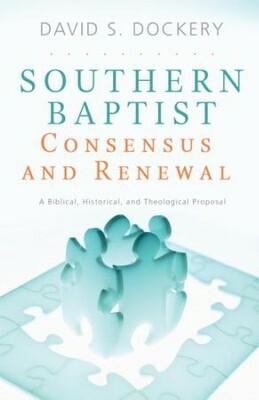 I'm the author/artist and I want to review Southern Baptist Consensus and Renewal - eBook.